On December 21, 2012, we had an engaging interview with Gary P. Latham, Ph.D., Secretary of State Professor of Organizational Behavior, Rotman School of Management; University of Toronto, one of the world’s experts on goal setting theory and organizational behavior. Gary P. Latham, PhD is the Secretary of State Professor of Organizational Effectiveness at the Rotman School of Management, University of Toronto. From 1983-1990, he was the Ford Motor Research Professor, Business School at the University of Washington. He is widely viewed as one of the world’s leading experts in the field of organizational behavior and goal setting theory. His contributions to organizational behavior have changed the field, both theoretically and empirically. His work on goal-setting has made fundamental contributions to both the area of motivation and self-regulation and makes him a household name to students and scholars in organizational behavior In fact, if you are familiar with research on goals, you have heard people cite his name, perhaps in association with Edwin Locke, hundreds of times. You may remember their landmark article based on decades of their own and other’s research on goals in the American Psychologist: Building a practically useful theory of goal setting and task motivation: A 35-year odyssey. Gary has published 11 books and over 200 articles and book chapters. His latest books are New Developments in Goal Setting and Task Performance with Ed Locke (Taylor and Francis, 12/12/12); Becoming The Evidenced Based Manager (Nicholas Brealey, 2011); and Work Motivation: Theory, Research, History, and Practice (Sage, 2012). From medicine to education, a national movement has been fundamentally changing the way standards of professional practice are set. Once based more on intuition, the demand for measurements backed by hard, scientific fact now finds its rightful place in the business world with Becoming the Evidence-Based Manager. Arguing that there is too much art and not enough science in the way managers manage, Gary brings together a unique combination of research and step-by-step practicality in this compact and highly practical toolkit of research-backed techniques, methods, and quick-to-implement action steps for hiring, inspiring, training, motivating and appraising employees to deliver high performance. This book provides a unique behavioral science framework for motivating employees in organizational settings. Drawing upon his experiences as a staff psychologist and consultant, Gary writes in a “mentor voice” that is highly personal and rich in examples. The book includes anecdotes about the major thought leaders in the field of motivation, together with behind-the-scenes accounts of research and the researchers. 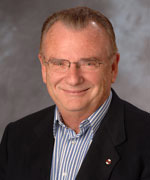 Gary is a former President of the Canadian Psychological Association (CPA), the Society for Industrial-Organizational Psychology (SIOP), and President-Elect of Work and Organizational Psychology, a division of the International Association of Applied Psychology. He is a Fellow of the American Psychological Association, Association for Psychological Science, Academy of Management, CPA, National Academy of Human Resources, SIOP, and the Royal Society of Canada. He is the only recipient of both awards: Distinguished Contributions to Science and to Practice from SIOP.